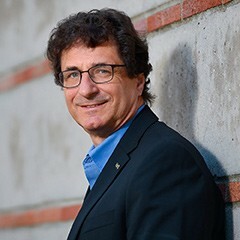 This June, Robert Cutietta, Dean of the USC Thornton School of Music, will serve as faculty at the 4-day Eastman Leadership Conference at the Eastman School of Music at the University of Rochester. Together with Martin Messinger, Dean of the Eastman School of Music, and Toni-Marie Montgomery, Dean of the Bienen School of Music at Northwestern University, they will conduct an in-depth exploration of the challenges and opportunities present in leading a music school. As a preview of the event, Dean Cutietta was featured on the WWFM podcast “A Tempo: Exploring the Future of Music Schools” on May 13. Listen to the podcast here.